The confidence of Edward Wyllis Scripps in free enterprise and democracy enabled him to create the first newspaper chain in the United States and to contribute significantly to the new journalism of his era. 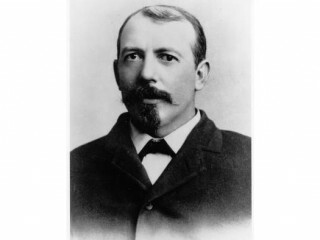 Born in Rushville, Ill., on June 18, 1854, E. W. Scripps came from a publishing family. His grandfather had issued the London Literary Gazette, and relatives in America were associated with newspapers. Scripps was raised on the family farm in Winchester, Ohio. At 18 he became an office boy on the Detroit Advertiser and Tribune, managed and owned by his half brother James Scripps. Later he served in business and editorial capacities for James. Borrowing money from relatives, notably his half sister Ellen, who would be his close associate for 40 years, Scripps founded the Cleveland Penny Press in 1877. Scripps was a philosopher of journalism as well as a businessman. He believed that the psychology of people had to be studied if they were to be satisfied. He reached controversial conclusions over the years, as when he held that "one mature white American is a better prospect [as a newspaper purchaser] than two or three Negroes or comparatively recent immigrants…." On the other hand, he thought that the differences between people were the products of accident and environment. He fought boldly and under stress for the right to print news independently, and he was conspicuous in battles against municipal corruption. In 1880 Scripps again joined relatives to take on the St. Louis Evening Chronicle and then the paper that became the Cincinnati Post. With the Detroit and Cleveland papers, they constituted the first newspaper chain in the country. Disagreements in policy, particularly Scripps's liberal, prolabor views, caused Scripps to leave the group with only the Cincinnati Post. He began a drive which multiplied his newspaper holdings in the Midwest and South, retaining 51 percent of stock in all papers. In 1889 he and Milton A. McRae founded the Scripps-McRae League of Newspapers. Dissatisfied with telegraphic news from the Associated Press and opposing its monopolistic features, in 1897 Scripps organized the Scripps-McRae Press Association, later the United Press Association. Scripps later developed a feature service, the Newspaper Enterprise Association. Although Scripps maintained rigid control of his properties, he sought to spread responsibility for them among associates, and by the time of his death on March 12, 1926, he owned only 40 percent of the stock. Scripps's interest in science expressed itself in his organization (1920) of the journalistic Science Service. With his sister he also endowed what became the Scripps Institution of Oceanography at La Jolla, Calif.
Scripps speaks for himself in two books: one arranged by his family and edited by Charles R. McCabe, Damned Old Crank (1951), the other edited by Oliver Knight, I Protest (1966), a volume of "selected disquisitions." Biographical accounts written by associates are Gilson Gardner, Lusty Scripps: The Life of E. W. Scripps (1932), and Negley O. Cochran, E. W. Scripps (1933). Scripps figures also in Milton A. McRae, Forty Years in Newspaperdom (1924).